In the years following the death of J.R.R. Tolkien, his son Christopher (being named as literary executor to his father’s unfinished works) has been completing and publishing many of his fathers as-yet unpublished works. This includes The Silmarillion and The Unfinished Tales of Middle Earth (which Middle Earth fans would recognise as source material for some of the plot lines in the newer Hobbit movies) as well as The Tale of Sigurd and Gudrun, The Fall of Arthur, and most recently Beowulf: A Translation and Commentary. In addition to writing The Lord of the Rings series (which has undoubtedly become one of the most well recognised staples of geek culture, having spawned movies, comics, cartoons, video games, and table games from just one trilogy and its prequel), John Ronald Reuel Tolkien was a renowned professor of English language and literature, holding multiple positions at Oxford. It is here that he worked on translations of poetry from Old English, to later be published by his son. Beowulf: A Translation and Commentary was one of these. It has been known for quite some time that Tolkien had worked on a newer translation of Beowulf, but his son held off on publishing it until May of 2014--much to the frustration of English Literature professors professors everywhere. Anyone familiar with Beowulf will know that there are many translations of the poem available, some of higher quality than others. Tolkien’s translation focuses on the precision of the language and the imagery brought forth by the language. This, coupled with the detailed footnotes provided by his son regarding the methods by which the translation was accomplished make this translation of the poem one of the high quality ones. In addition to the translation of the poem (and perhaps what makes the book better than other translation) is the inclusion of Tolkien’s commentary and original writings following the poem. The initial commentary that follows the poem is the source material that eventually became Tolkien’s renowned 1936 lecture Beowulf: The Monsters and the Critics. In this commentary is found some of the most detailed writing regarding the nature of the translation of language and the impact on a story that mistranslation or bad translation can have. 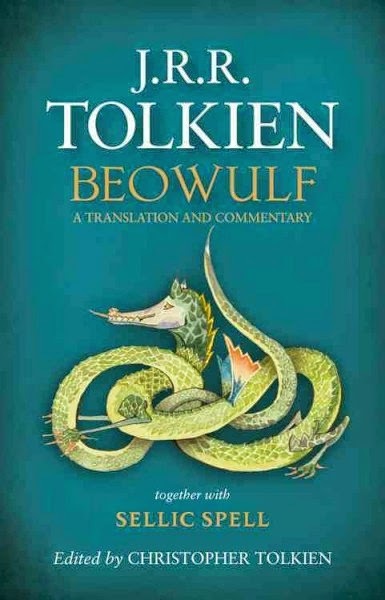 After the commentary, there are two original writings by Tolkien; “Sellic Spell” and “The Lay of Beowulf.” The former is a fantasy piece written by Tolkien regarding the origins of Beowulf and speculates the biographical history of the hero that is only briefly alluded to in the original poem. The latter is two poems written in the style of a song in the Beowulf theme. As a former English lit. student I was fascinated by the method which Tolkien used to translate and present the poem. Though Tolkien himself was not as satisfied with his own translation of the work, still to be able to see how he chose to focus more on the rhythm and details of the original poem, rather than on focusing on the rhyme and alliteration as many previous translations of the poem have done (which can lead to losing many details or important facets of the original story). Because Tolkien chose to focus on the rhythm and details of the original source material, there are elements in his translation that won’t be found in other translations. As a fan of Tolkien’s Middle Earth material, it was gratifying to see glimpses the language that Tolkien would use later in his Lord of the Rings--Tolkien himself having stated that Beowulf was a significant source of inspiration for The Hobbit. Reading it felt somewhat like a treasure hunt where the treasure was the hints of foreshadowing of what Tolkien would later publish. (Remember--his lecture Beowulf: The Monsters and the Critics was in 1936, while The Hobbit was published in 1937, and The Lord of the Rings between 1937 and 1949). ...See if you agree! Beowulf: a Translation and Commentary by J.R.R. Tolkien and Christopher Tolkien is available at the Ocean City Free Public Library.